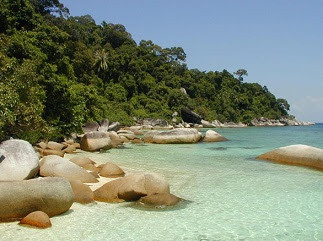 Holiday: Perhentian Island at Terengganu, Malaysia. Pulau Perhentian consists of two islands, Pulau Perhentian Besar (Big Island) and Pulau Perhentian Kecil (Small Island). Perhentian Island Resort is an ideal beach resort for a leisurely family vacation in Terengganu, Malaysia. This resort located at Perhentian Big Island and surrounded by lush greenery tropical forest. It is facing the beautiful white sandy beaches and a warm blue sea, Perhentian Island is a holiday paradise not to be missed. Perhentian Island, or Pulau Perhentian is what the locals call it. 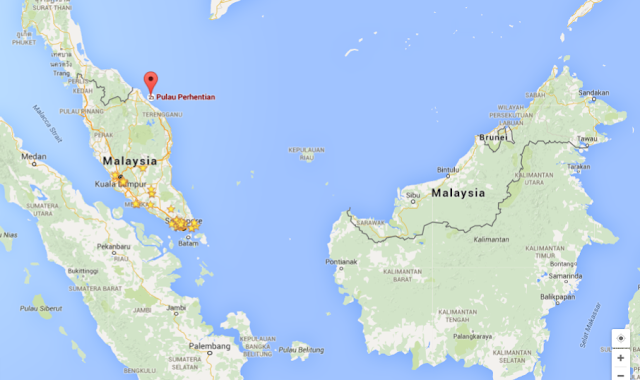 This Island is forms a parts of the National Marine Park of Malaysia and well known as a marine paradise. 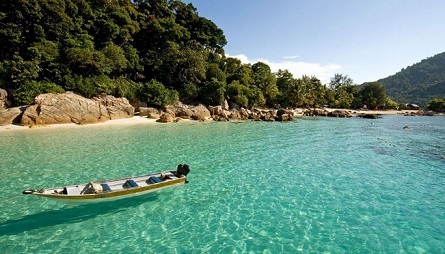 You will find many things to see and do in the surrounding areas of Perhentian Island Resort. Try to take a jungle trek up to the hills under a canopy of large trees and you might see plenty of wild animal such as giant bats, magpies, the Nicobar pigeon and more. If you are lucky, you can see an attractive lizard or even a mouse-deer. Perhentian Island lies along the flight path of this migratory bird and you can see a beautiful and attractive birds along the way to the top of the hill. The nearest jungle trail is just a hundred meters from the Resort. If you want to see a turtle at Perhentian Island, snorkeling is the best idea. The resort is strategically located if you like and enjoy scuba diving or snorkeling and you can get an exciting exploration, fronting a coral-rich bay. 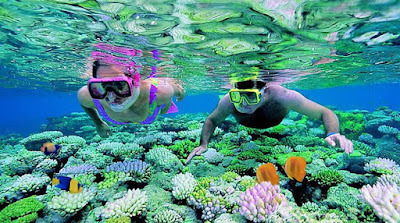 The marine ecosystem of this area is well documented and held in high regard by snorkelers and scuba divers. Other great activities you can do are gather your family and head to the beach for a swimming, picnic with barbecue for the lunch and even find a god location to enjoy the view. If you come between June and late August, you might even see giant green turtles laying eggs along the beach, at about a 20 minutes boat ride from the Resort. If you have a plan to make a family day, you can have this place for a consideration and I guaranty that your family will enjoy your next family holiday at this Beach Resort. They will thank you for this where reality is like a dream to them.